Explore Orlando the way YOU want to with the Orlando Explorer Pass. Choose either 3 or 5 attractions to visit from a total of 15 options. 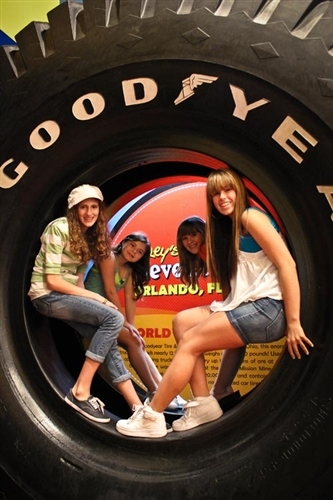 From Madame Tussauds to WonderWorks, Ripley’s Believe It or Not to the Orlando Eye, you’ll have so much to choose from! Each pass is valid for 30 days and includes a free 3-day I-Ride Trolley ticket. Each pass includes a free 3 day I-Ride Trolley ticket. Choose from over 15 popular Orlando attractions. Valid for 30 days from first use. The Orlando Multi-Attraction Explorer Pass is the best choice for maximum savings and flexibility at Orlando’s famous I-Drive area attractions. Save up to 35% off retail prices on admission to 4 attractions. Enjoy the flexibility to choose attractions as you go and take up to 30 days to use your pass. Each pass includes a free 3-day I-Ride Trolley ticket (Trolley pass must be picked up Congo River Adventure Golf before boarding). Save Money: Save up to 35% off combined admission prices. Flexibility: Create your own itinerary from over 15 top choices. Freedom: Do as much as you want each day or take up to 30 days to use your pass. Insider Info: Free guidebook and map. What is the Orlando Explorer Pass? This pass allows you to pick 4 attractions from over 14 choices. Passes expire after 30 days of your first attraction visit. You will receive a guidebook with attraction information after purchase. Simply visit your first attraction. There is a link on your E-ticket to open and access your barcode to gain entry into the attractions. Some attractions require advance reservations including the Outta Control Magic Dinner Show and Forever Florida Coach Tour. You have 1 year from the purchase date to begin using your pass. Can I visit the same attraction multiple times? You can visit only one attraction once per the life of the card. What if I don’t use all of my admissions? Once the card is activated, it is non-refundable. No partial refunds will be issued for unused admissions and not responsible for traffic conditions, attraction-capacity constraints, weather-related closings or unforeseeable circumstances. Are the attractions open all year? Some attractions may be seasonal, we suggest checking their operating hours before visiting. Yes, feel free to visit the attractions any time of the day as long as they are open and operating. While we do our best to ensure that all attractions are available, events happen that are out of our control. The great thing about an Orlando Explorer Pass is that there are so many attractions to choose from. If an attraction is closed, or cannot be visited for some reason, we know you'll find a fun alternative in your guidebook! Can you explain the different attractions? The Orlando Eye is the tallest observation wheel on the entire east coast of the United States. Take in breathtaking 360-degree views of the surrounding central Florida area like you’ve never seen before. 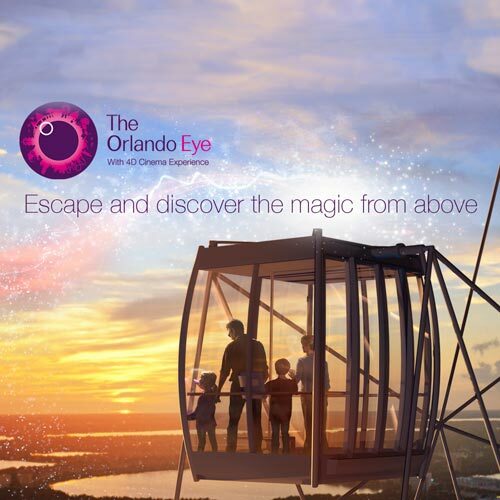 A flight on the Orlando Eye will lift you high enough to see the sights of downtown Orlando’s skyline, nearby theme parks, and beautiful landscapes with a view that reaches all the way to Cape Canaveral. Located at Orlando’s newest dining and entertainment complex in the heart of International Drive, at I-Drive 360. Get ready to experience the essence of America with this brand new, immersive and interactive wax attraction, bursting with family fun and world-class entertainment. 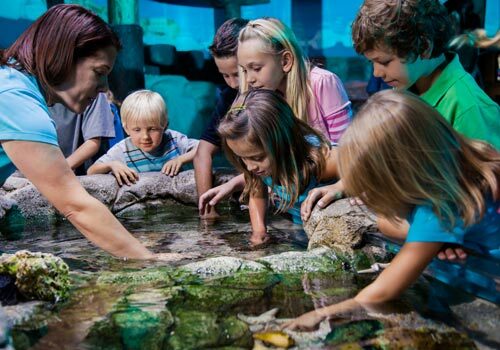 Get face-to-face with more than 5,000 creatures including colorful Fish, Seahorses, Jellyfish, Barracudas, a Giant Pacific Octopus, and more. Visitors will enjoy the themed habitats, highly interactive displays, and learning about the aquarium’s rescue and preservation efforts. 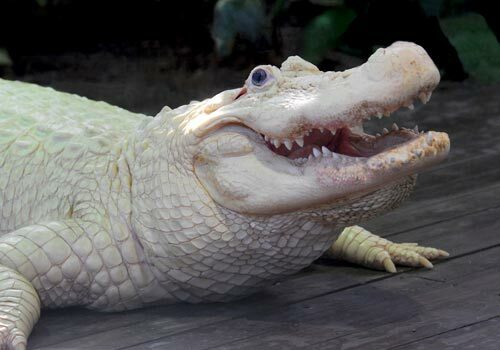 This is a 110-acre theme park and wildlife preserve, it boasts a petting zoo, nature walk, educational wildlife programs, the world famous Gator Jaw Entrance and Gift Shop, a fantastic restaurant, Gator Gully Splash Park, and much more! The One-of-a-kind reptilian shows include the Gator Wrestlin' Show, Gator Jumparoo, Critters on the Go and Up-close Encounters. 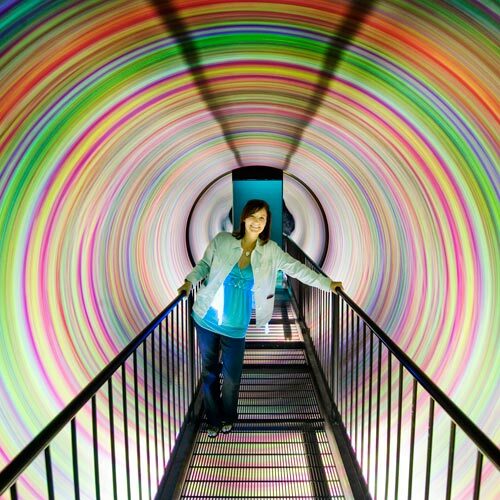 This is an amusement park for all ages with over 100 interactive, hands-on exhibits that bring the unexplainable to life, and turn the unusual into the norm. It takes about 3 hours. The 4 Ride Sampler pass offers flexibility with the ability to choose any four fun-filled attractions and activities from over 20 options at Fun Spot America in Orlando (SkyCoaster not included). Includes a ½ hour tour, which leaves every 30 minutes. No reservation needed. 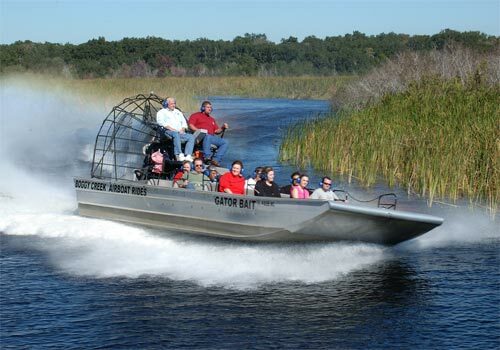 You will be imported into the natural wetlands exploring wildlife and the awesome swamps on Coast Guard Approved 17 passenger airboats. This museum showcases hundreds of fascinating and interactive exhibits to entertain the whole family. Explore an unbelievable variety of artifacts, exhibits and displays in 16 unique galleries that pay tribute to the odd and bizarre. The brand new 20,000 sq. ft. / 20 room interactive attraction features full-scale recreations of Titanic’s most famous locales, including her Grand Staircase, First Class Parlor Suite, Veranda and Marconi room. It takes about 1 ½ hours to tour the attraction. Forever Florida is located 1 hour from Orlando, reservations are mandatory. This Safari Adventure Tour will take you on a 2-hour adventure deep into the 4,700 Forever Florida Wildlife Conservation Area. This Orlando Explorer Pass give you a round of golf. Reservations required by calling the phone number listed on your Explorer Pass. This 90-minute hilarious show combines high-energy comedy improvisation with spectacular magic to thoroughly entertain audiences of all ages. During the show, enjoy unlimited salad, fresh hand-tossed pizza, popcorn, dessert, and unlimited beer, wine, and soda. Go on a fascinating tour of over 400 animal and human skeletons composed of real bones meticulously reconstructed and posed in unique settings. 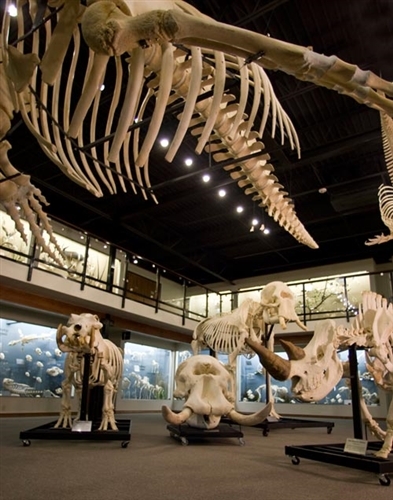 This 90 minute tour provides visitors with a unique up-close examination of bones, skeletons, structure, and anatomy for an entertaining, educational experience. This outdoor and canopy-covered water park features fun for the whole family with 14 thrilling body slides and tube slides, heated pools, Parrot’s Perch interactive play island with a 400 gallon tipping bucket, a toddler-friendly lagoon, coral reef teen pool, and a Wet Rooster Tiki Bar. Note: seasonal hours apply. I-Ride Trolley passes must be picked up at the Congo River Adventure Golf and includes a 3-Day Unlimited Ride. You can sit back and ride up and down the miles of fun that make up I-Drive...6 theme parks, 200-plus restaurants, 485-plus shops, 30,000 hotel rooms! Discover how this wonderful means of transportation takes the parking and driving hassles out of your vacation and lets you cruise the Drive in charming style. Kids 3-9 years of age ride for just $1 per ride (exact change required).